If you love to bake new recipes and share with others all the time or you are just trying your hands on baking game, you always need to look for the best quality bakeware. Before buying the bakeware set, you always need to consider your needs. 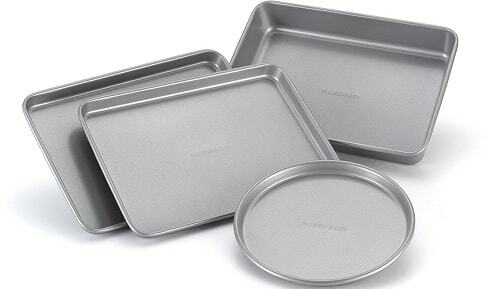 A bakeware set is the most sought-after accessory for your baking needs as it is made to yield flavorful baked recipes. It must be easy to use, long-lasting and provides great results. It is one of the first preferences to ensure best results and baking performance. For even heat distribution and retention, choose shiny and light pans. Food which doesn’t need browning can be baked easily in it. If you like to bake food that has thicker crust, be sure to look for pan that has matte finish. Non-stick surface must be the first choice for dark dishes. 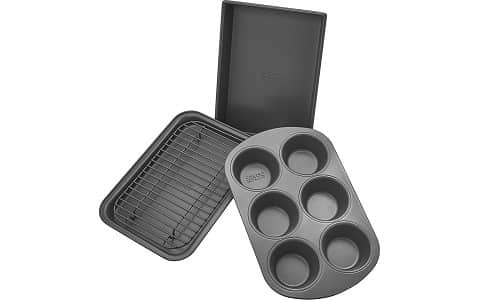 The choice of bakeware sets vary according to shape and size. Before buying one, look for the ones that may fit well with ample storage space. Each piece should fit well in your oven, dishwasher, and fridge. You may find the best bakeware sets made of materials like metal, glass, stoneware, etc. It is up to your baking needs and style. Glass bakeware retains heat and is great staple to your countertops. You can use them virtually anywhere like in microwave, oven or freezer, when used properly. But they tend to break easily once dropped. You can find stoneware in different shapes and colors. They can last longer and are dishwasher safe. But they are heavy and vulnerable to cracks and chips if not used properly. Metals like aluminum and carbon are the first choice of many professional bakers as they provide even heat distribution and brown crust. They also have nonstick coating for smooth food release. But hand wash is recommended as dishwashing may affect non-stick coating. You don’t want to break your bank to afford a new bakeware set. So, it is very important to pick a set which includes pieces that you actually need. These are one of the most overlooked but important features when buying the bakeware set. The handles should be ergonomically designed and are easy to grip. It should be wide enough to provide smooth grip when it comes to move from different places. Baking is really very difficult. So, you need to choose the pans which are easy to clean. You need to look for pans with non-stick surface that have various layers. Glass and stoneware are easy to clean and dishwasher safe. If you choose metal sets that have non-stick surface, hand wash is recommended or it would peel off non stick coating. Consider the thickness of metal bakeware. Look for heavy-gauge metal to avoid dents very well. Be sure bakeware will not deform when used in high heat. To avoid warping, you need to choose reinforced edges. Be sure the glass is nonporous and won’t warp. 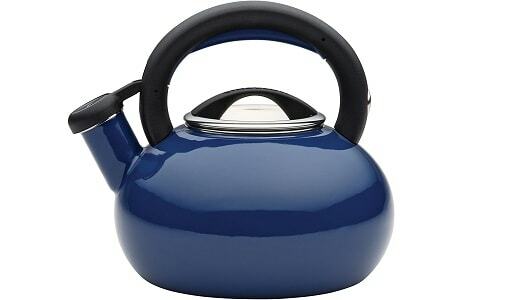 Buy stoneware with enamel body to secure dish over metal marks and damage. Buy a bakeware set which is versatile for multiple uses and it also includes cake pan, cookie sheet, bread pan, and muffin pan. To bake more items, make sure the set includes highest number of items. The more pieces you get, the costly the set could be. Consider the pieces you want before buying. 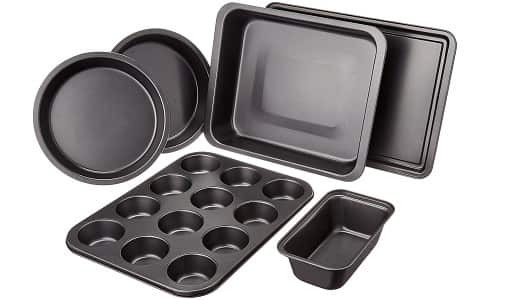 Bakeware sets usually have 5 to 6 pieces but their shape may differ. You may find same shape only in cupcake and muffin pans as they will be less functional due to any change. You can ensure product’s durability with warranty. If warranty is not long enough, it means manufacturer also don’t have faith on its quality. With this assumption, you can notice that more durable products come with warranty that lasts. It works when it comes to replace your defective bakeware or get refund within specific period. Basically, warranty lasts 1 year to 10 year, depending upon the brand. Made of heavy gauge stainless steel, Simply Calphalon nonstick bakeware set heats evenly as it won’t dent with ease. It is made of thick metal which is less likely to deform at high temperature. The interior surface of each piece is made of non-stick, interlocking layers to provide great food release. It includes medium loaf pan, cake pan which measures 9”x13”, 12-cup muffin pan, 10 inches by 15 inches baking sheet, and two round cake pans measuring 8 pieces. These are oven safe up to 450F. Despite having non-stick coating, it is still dishwasher safe. It ensures peace of mind with 10 years of warranty. 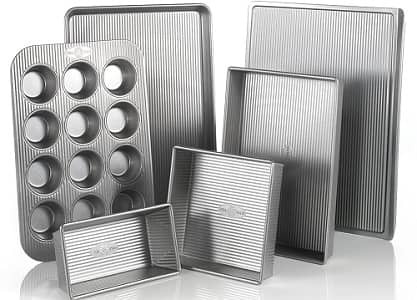 Chicago Metallic is a household name which offers non-stick bakeware line which is easy to use and has been used widely in households for over a century. It is a non-stick, durable line which bakes each recipe with perfection and is easy to clean up. Many professional bakers choose Chicago Metallic line as it is a synonym of craftsmanship, quality, and design sturdiness. Chicago Metallic Professional non-stick 4 Piece oven set has all the basic pans to bake mouthwatering cakes in the oven. It includes 9.25”x6” cooling rack, 9.5×6.25 inches baking pan, 6-cup muffin pan, and 11×7-inch cake pan. Made of aluminized steel, it ensures excellent baking and heat retention. It is also easy to cleanup and bake with silicone-based non-stick coating. Don’t use sharp-edge knives with it. But all the pans are oven safe up to 450F but not safe to use under broiler. It is a great bakeware set for beginners as it has all the items you need, including roasting pan, cookie sheet, square baking pan, circular cake pan, and 12-cup muffin pan. The heavy-duty carbon steel is used to manufacture them as it is oven safe up to 450F. So, it is your best bet for quick dinners and desserts. Handles are easy to grip as they are made of red silicone coverings with potholders. It is easy to clean up as it is PFOA- and PTFE free. Simply wash it by hand with mild detergent and water. 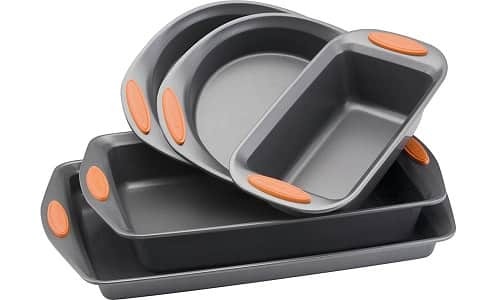 Made of rolled rim edges and durable carbon steel, the Rachael Ray Bakeware Set is designed to avoid warping. 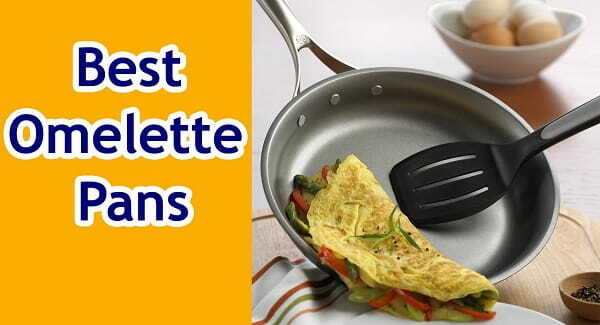 They are usually made of non-stick interior coating for easy food release. The bakeware has silicon grips which are easy to hold even with mittens turned on. 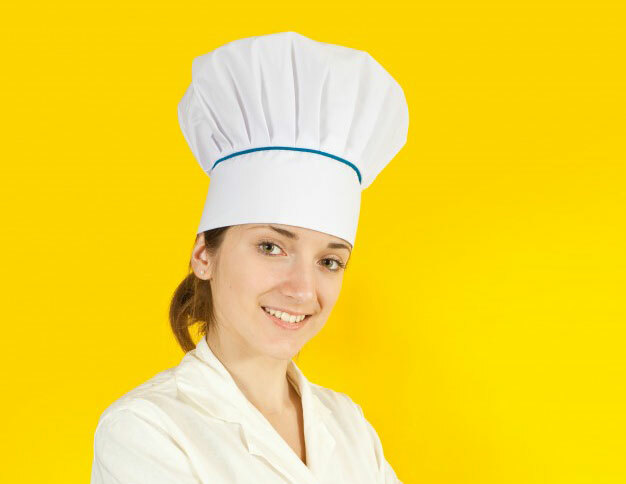 It includes 10×15-inch cookie set, 9×13-inch rectangular pan, and two round cake pans measuring 9 inches. They can resist heat up to 450F. It provides 100% guaranteed satisfaction. It means, you can claim refund if you are not satisfied. 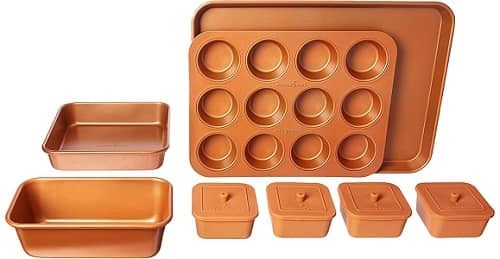 AmazonBasics 6-piece bakeware set is the best gift for a baker. It has great range of daily essentials. It includes 10×13-inch cake pan, 9-inch circular cake pans, 10×14-inch 12-cup muffin pan, 4.5×8-inch loaf pan, and 10”x14.5” cookie sheet. Bake your favorite birthday cake and cinnamon rolls to choco-chip cookies and enjoy your Sunday afternoon. It will definitely be a great inspiration for a baking lover. Bakeware is capable to resist warping with carbon-steel and heavy-weight built. It doesn’t warp and heats well. You don’t need to worry about any hot spots that can burn your baked items. It delivers well browned cakes and you can bake your favorite recipes with ease. 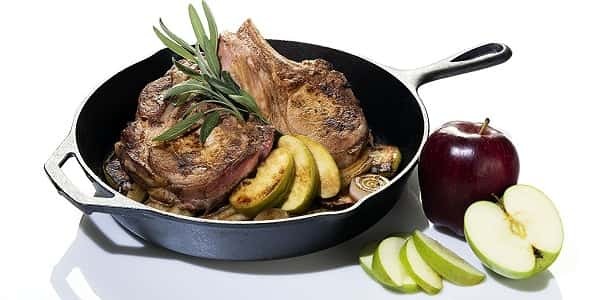 The carbon-steel bakeware set is designed well inside and out and has non-stick coating to avoid excess oil or butter in the pan and it provides smooth food removal. Transfer cakes and breads to cooling rack by flipping the pan and lift sweet rolls or cookies with spatula. 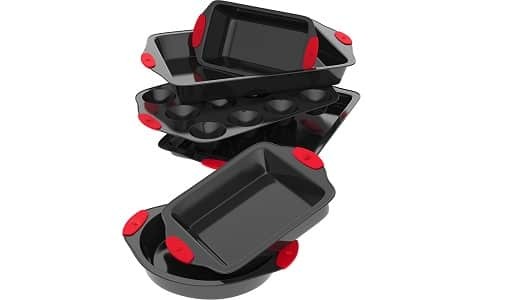 The 6-piece bakeware set is built well and can easily manage high heat up to 500F. So, it can meet all your baking needs. There is no need to stick with messy soaking overnight. It is easy to cleanup and dishwasher safe. Farberware Bakeware is designed to exceed all your expectations in your busy kitchen. It is made to create your favorite baked items. Farberware has been a reliable brand which gives great performance and stands ahead with tradition in every piece of bakeware. Farberware Toaster Oven makes it simple to enjoy your favorite homemade cookies, pizza and casseroles. It has two 10×7-inch cookie pans that are good to bake biscotti or choco chip cookies, 10×7-inch cake pan to create delicious brownies or strawberry cake, and 7-inch pizza pan to make delicious BBQ chicken pizza. The heavy duty construction of the toaster oven bakeware is capable to resist warping and provides even heat distribution for browning cookies and to cut down on hot spots. Oven safe pans up to 450 deg. F.
The cookie pan, cake pan, and pizza pan are non-stick from inside out to provide smooth food release and are easy to clean up. USA Pan 6-Piece Bakeware set is made of aluminized steel, which is the best choice for commercial bakeries and professional bakers as it is very durable. It is the perfect bakeware set that can meet all your baking needs. You can easily bake all your favorite baking recipes, such as breads, chocolate chip cookies, apple pies, muffins, birthday cakes and even more. The surfaces of the whole pan set are Americoat Plus coated. It is non-stick, patented silicone so you can easily slide your baked goodies off the pan. You can easily clean it up with non-stick feature. It is PFOA, PTFE, and BPA free. Sunbeam 76893.05 pans are made of carbon steel and it comes with non-stick features with xylan coating both inside and out. But the pans got very simple look in black color. The pan set comes with only 5 pieces, which are less than other sets. The set includes a cookie sheet, loaf pan, two round cake pans and 6-cup muffin pan. However, it cannot resist the temperature exceeding 400 F. It is quite disappointing as you may need more heat for some recipes. But all of the pans have enough space to grab and handle safely. Give your family special treat with golden, crispy French fries and onion rings that are baked well without oily deep-frying process. 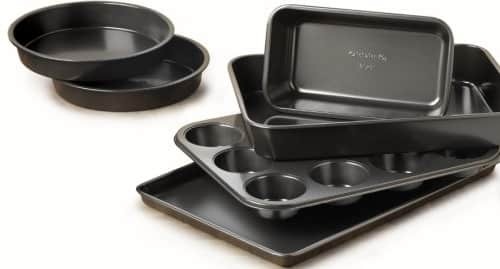 These solid-looking, black baking dishes look like our old-school bakewares which were used a couple of decades ago. It is a versatile and modern set which can meet all your needs. ChefLand is made up of carbon steel and looks quite simple but comes with effective non-stick coating. Even heat distribution is the best part of this material and there is no need to worry about hotspots. Though these products are dishwasher safe, it is still recommended to wash by hand. 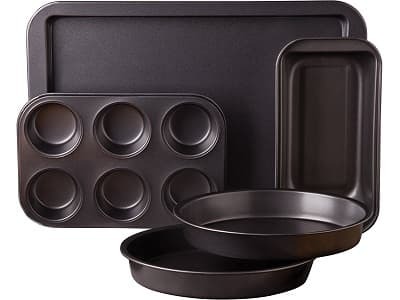 This set includes round pizza pan, roasting pan, medium and large cookie sheet, square cake pan, 2 circular cake pans, oven crisper, loaf pan, and 12-cup muffin pan. Copper Chef is a leading cookware brand and this bakeware set is one of the masterpieces by this brand. Copper has good heat distribution. It is very important for this set as consistency in cooking is very important. 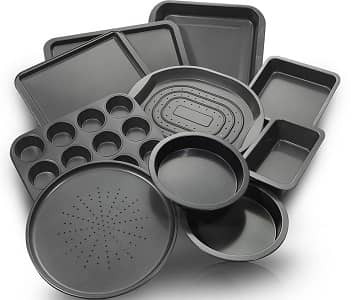 The 12-piece set has a cookie sheet, 12-cup muffin sheet, square pan, loaf pan, and 8 silicon cups with caps. With the above bakeware sets revealed, we recommend Calphalon because it is the best bakeware brand and is trusted by millions of customers. 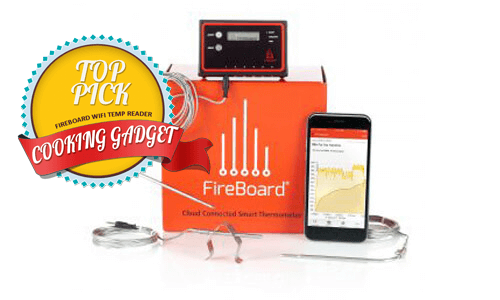 It has a lot of features you may have ever wanted. The complete set of it includes loaf pan, muffin pan, and baking sheet. It has heavy gauge steel to avoid warping. It also comes with warranty of up to 10 years. It is also easy to clean with its non-stick coating. Despite lacking silicone handles, it is still convenient even when mittens are turned on. We hope you’ve enjoyed the reviews and buyer’s guide above on bakeware sets. It would be a great choice for you to buy a bakeware set to bake your favorite dishes like cakes, casseroles, and cupcakes. Consider your needs before buying to get the best value for money.